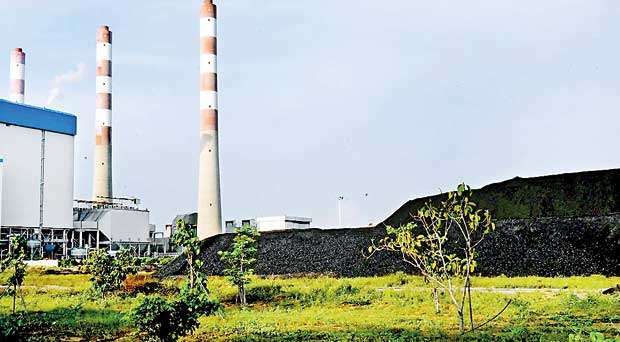 ri Lanka’s energy demand has seen significant increases in the last decade, by 2020 it is predicted that the demand will be almost double from where it was at 2010. While there is a serious rise in the domestic energy demand in the last decade so has been the serious transformation of the national, regional and global energy security landscape. Sri Lanka is currently reeling from industrial strike actions in multiple sectors by trade unions and political party affiliates adding chaos to an already brittle cohabitation government. With fuel and gas prices to rise in global markets mirroring a set of sanctions imposed by the United States on Iran, Sri Lanka may see another spike in its energy market leading to an overall increase in consumer goods. This article attempts to outline the security landscape that Sri Lanka is part of and the energy security challenges that rise mainly from and intense geo political rivalry that surrounds us. The country is badly in need of an energy security policy and mid to long term strategy of securing our energy security. Ads energy security is a primary national security pillar and should be part of our overall foreign policy and security policy. Prior to examining the energy security environment it is important to briefly understand the global security environment which has a direct impact on energy security. The global governance architectures have weakened significantly over the last decade. United States which was the pivot for global security and economic stability is gradually changing under Trump administration. America has sought to reduce its multilateral engagements and commitments. With all international efforts there is an incremental surge in renewable energy sources and technological investment yet, despite all these last three decades has witnessed global coal consumption double from its base levels of the 90s. Bulk of that rise has been tied to the geo political rise of Asia led by growth in China. China despite its efforts to diversify its energy sector, still accounts for nearly 80% of coal usage for electricity generation and is the largest oil importer from Middle East. China imports 60% of its oil from foreign sources and out of that nearly 70% amount for oil purchased from Middle Eastern suppliers. India meanwhile is pursuing actively to achieve complete electrification by 2022, thus both for India and China access to energy resources will be a key plank in their geo political strategy. This column has previously addressed the competing geo strategic policies of both these countries especially with China’s Belt and Road initiative (BRI) which is creating a network of ports, cities and road networks that connects china across land and maritime routes. While these strategic policies and projects, reflect economic and military interests of rising China and India, they also underpin the concerted efforts to create a secure supply chain of uninterrupted energy flows both in to China and India. This access will play a crucial role in achieving sustainable growth for both countries and lifting people out of poverty which remains a serious challenge. While Indo-Pacific is securitizing along the lines of energy security, the demand Asian countries are generating will further increase the political power properties of energy suppliers and exporters. These suppliers will display unilateral tendencies when it comes to global political processes. Already Saudi Arabia has suddenly cut diplomatic ties with Canada last week, Saudi Arabia has got involved in a trade war and diplomatic isolation of Qatar. United States and China both remain silent on the recent diplomatic row as Saudi Arabia is a prime Petro state that has strategic interests of both United States and China intertwined. Contemporary, Russia and Iran are two examples of energy regimes that managed to navigate and influence global political outcomes and be entrenched in Middle Eastern and Eurasian geo politics because of their oil and gas resources that have a larger clientele. Trump administration has achieved a chaotic but from the administration’s perspective a successful strategy, where no country despite its previous standing has an idea where USA stands with it currently. In the context of energy which was a crucial pillar of US foreign policy throughout last 60 years is transforming. The United States foreign policy towards Middle East was purely driven by its interest to acquire, access and maintain stranglehold of oil and gas supplies. The Carter Doctrine is a classic example for this, which came in the aftermath of the Iranian revolution, where it clearly mentioned the United States would use its military force to intervene in any conflict situation it deemed would be harming its strategic interests, which in other words was the protection of supply chain and the oil refineries for a stable oil supply. "Prior to examining the energy security environment, it is important to briefly understand the global security environment which has a direct impact on energy security"
Introducing the policy President Carter went on record to say, ‘Let our position be absolutely clear: An attempt by an outside force to gain control of the Persian Gulf region will be regarded as an assault on the vital interests of the United States, and such an assault will be repelled by any means necessary, including military force’. Trump administration is currently embroiled in a surging trade war with China, The United States last year alone suffered a bi lateral trade deficit of nearly $380 billion dollars with China. As the trade war was looming China attempted to minimize the probability by pledging to buy more oil and gas supplies from the United States. Even in the present context if one revisits the trade figures and volume in energy commodities exported to China from the United States amounted to a staggering $ 9 billion. The current Secretary of the US treasury Steven Mnuchin has proclaimed, that they are looking to increasing exports of energy commodities to China to the value of $50 billion in the coming years. What is important to grasp from these observations are two things, the United States security policy may be less coherent, more arbitrary under Trump and yet United States has achieved a significant Oil independence from its former suppliers, thus endowing them the ability to start trade wars, impose trade embargoes such as the ones on Russia, Venezuela, North Korea and more importantly Iran. Geo politics of energy focuses on assessing the impact of energy flows on the power and influence of nations. The primary focus has been on oil and more recently gas flows to global locations from the point of origin. Thus what actually materializes as part of the geo political energy strategy is the process of securing, safeguarding energy supplies, prevent adversaries from accessing and preferably maintain a dominance over the supply chain. From a Sri Lankan perspective we have multiple challenges, primary challenge being the inability to articulate an energy security policy and secondly to intelligently navigate the intense energy competition that is taking place in the Indian Ocean. Our geographic location is mainly strategic because of the energy flows that are increasing in volume in our ocean system. We are right in the middle of these transit routes we still do not have sufficient storage facilities for oil with the growing demand, we have no real electrification plan, we have committed to international protocols on renewable energy yet our national grid which is dominated by technocrats are gunning to expand coal powered generation facilities. Thus instead of achieving a lesser carbon foot print our reliance on fossil fuels may lead us to be more than 80% reliant on Coal within the next decade. Surrounded by Geo political competition and a policy apparatus that cannot escape the fossil fuel lobbies, Sri Lanka’s energy security is hugely vulnerable for foreign influence, no matter how much we enhance our security, how much we spend on modernizing our defence establishment a weak energy governance leads to massive national security vulnerabilities, and we already are running on emergency power and backups do not last forever.